It’s time to talk menopause. Men – you’re welcome to stay, but if this kind of conversation makes you uncomfortable, feel free to check out one of my posts about football instead. Last January I missed my period. It happened again in February and I sensed it was the beginning of the end. Rather than proceed with a year of living dangerously, I hightailed it over to a holistic medical center and met with the physicians and counselors to express my fear of a. hot flashes, b. getting fat, and c. cataclysmic mood swings. They reviewed my diet and exercise habits, did some blood and hormone workups, and recommended bioidentical hormones and vitamins and supplements. One year later, I’m happy to report that I haven’t killed anyone. My very first world problem? 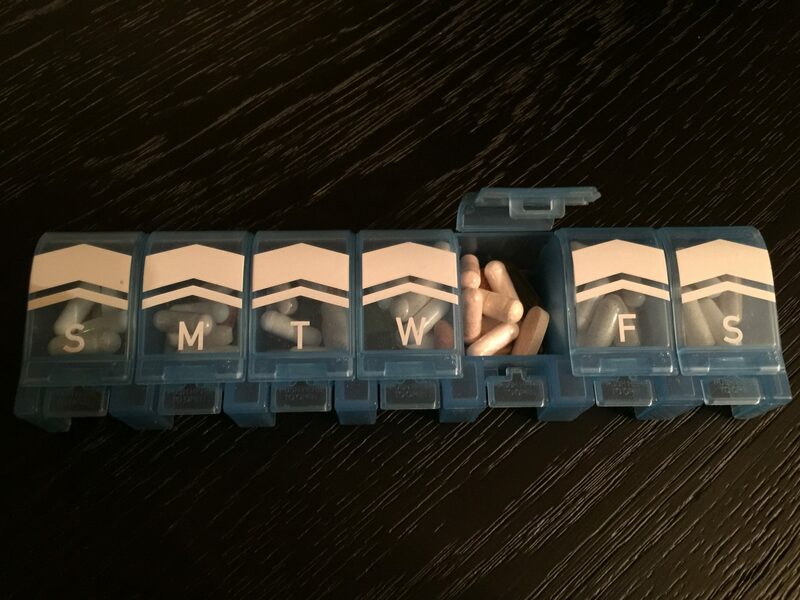 I take a lot of pills every day. The bottles fill a small basket in my kitchen pantry. This doesn’t pose a problem in my so-called normal life, but it certainly is a challenge when traveling for longer than a couple of days. 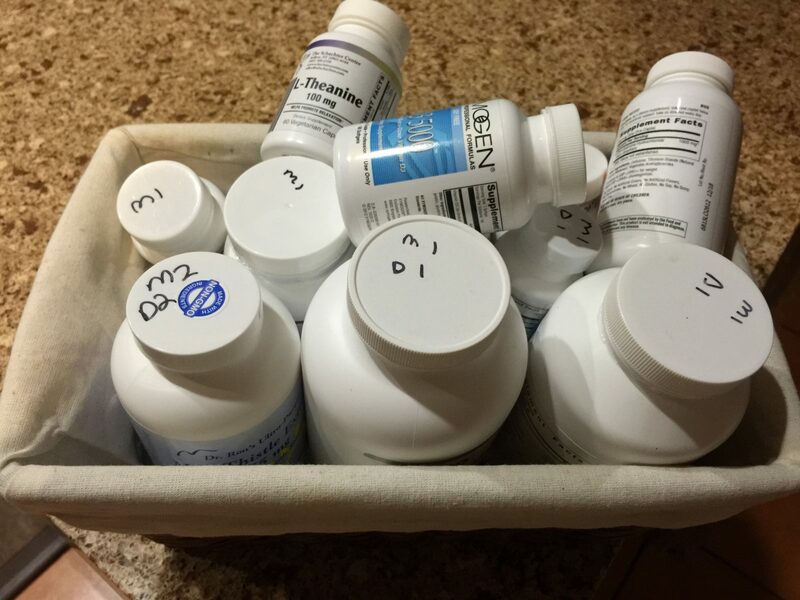 Dumping the entire quantity of vitamins and supplements into one large Ziploc doesn’t work; they’re all too similar in color, shape, and size to be able to distinguish one from another. For a weeklong beach trip, I segregated one-a-days for the morning from one-a-days for the evening from two-a-days in the morning from two-a-days at dinner from two-a-days at bedtime and assigned each category a baggie. This worked better, but not great. I’m not good at expressing the air out of the baggies so they were bulky and I still got confused about which one was magnesium and which was milk thistle. Blame it on the vapors. For my summer vacation, I just abandoned them completely. This was a very bad idea. There may not be scientific evidence that supplements cure menopause symptoms, but I believe they do, and belief is a powerful drug. So, when I went off them, I got crazy. 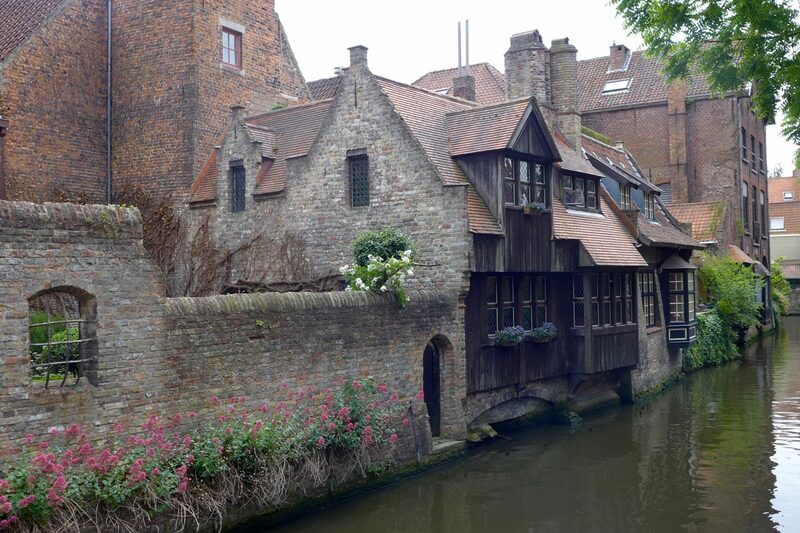 Not to the point that I went Colin Farrell-crazy in Bruges, but I was definitely off my game. The boxes come in small, medium, large, and extra-large. I bought three that I thought would accommodate my needs. I labeled one “morning”, one “dinner”, and one “bedtime” and loaded them up with a weeks’ worth of vitamins and supplements. It’s still a bit more bulk than I’d like, but at least it’s organized and neat. I think my 3 boxes are reasonable, so I’ll take a day, skip a day, and see if that works, I’ll use a glass or two of wine as supplemental insurance. Any other pill-packing mammas out there have transport solutions that work? Ummm…. sorry to say, but you may need the labels for the meds. How is your average underpaid, overworked civil servant going to know that you are not smuggling in…(insert party drug of choice name here)? If your luggage gets searched, they may just take them, rather than let them through. Better extra baggage than a “Midnight Express” scenario. I was thinking customs agents at both ends. I use one of those weekly boxes all the time. So, when I travel, I put a week’s worth in there. Then I use the ziploc bag method so that I can refill the box each Sunday that I’m gone. A sharpie writes well on Ziplocs, so each little baggie is labeled with both the number of pills and what it is. So far, that hasn’t caused me any problems with security or customs at home or abroad. Great advice, Joy. Can you ever go wrong with a sharpie and a ziploc? Good to know you’ve not been hassled by customs. Hoping I zip through un-hassled!